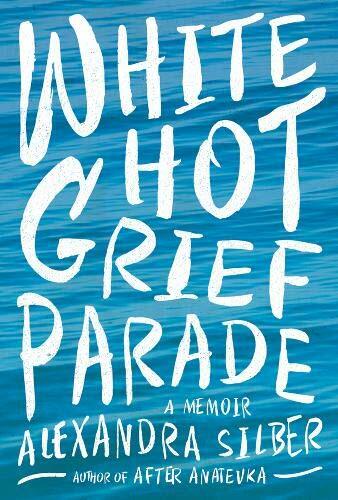 White Hot Grief Parade: A Memoir is Bookclubz' Book of the Month. Use these discussion questions to guide your next meeting. Alexandra “Al” Silber seems to have everything: brilliance, beauty, and talent in spades. But when her beloved father dies after a decade-long battle with cancer when she is just a teenager, it feels like the end of everything. Lost in grief, Al and her mother hardly know where to begin with the rest of their lives. Into this grieving house burst Al’s three friends from theatre camp, determined to help out as only drama students know how―and they’re moving in for the duration. Over the course of that winter, the now five-strong household will do battle with everything Death can throw at them―meddling relatives, merciless bureaucracy, soul-sapping sadness, the endless Tupperware. They will learn (almost) everything about love and will eventually return to the world, altered in different ways by their time in a home by a river. Told with raw passion, candor and wit, White Hot Grief Parade is an ode to the restorative power of family and friendship―and the unbreakable bond, even in death, between father and daughter. Humor and grief are often strange bedfellows, and there are parts of the narrative (and some of the characters) that are just plain funny. How does laughter play a role in mourning and the grieving process? We have all gone through times of grief and sorrow at some point. How does this story resonate with your own personal experiences? Al has made her career on the stage—but in the book, she finds herself playing a role she never auditioned for. Almost watching real life like it’s a theater piece she can’t get out of. How does the concept of theater and stage interweave itself throughout the narrative?